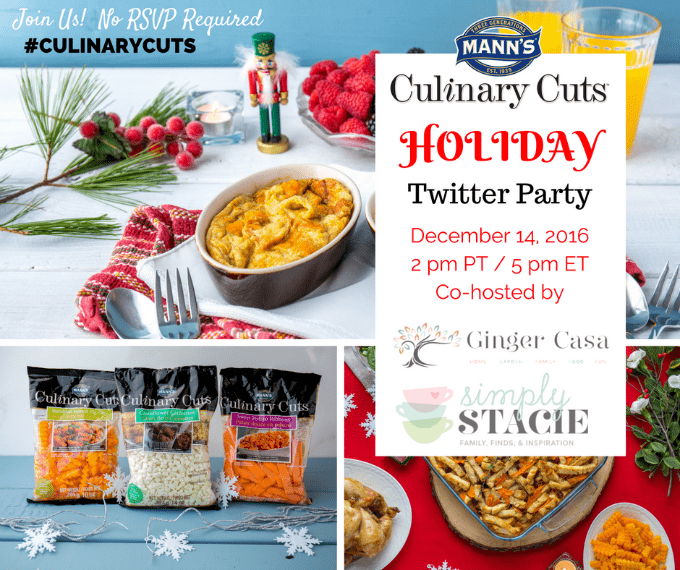 I’m cohosting a Twitter party with Mann’s Culinary Cuts and you’re invited! We’ll be chatting about healthy holiday recipes. Bring your appetite and get ready for some fun! No RSVP is required. Please follow the host, cohosts and join in the conversation with the hashtag. I hope to see you there!